I've been a huge fan of Digital Nails since I first stumbled across her Etsy site, so I was extremely excited to hear that she was a part of a new subscription service called The Beauty Quartet. Every 2 months, four brands (Philly Loves Lacquer, Smokey Mountain Lacquers, Digital Nails and Northern Star Polish) will produce exclusive, never before sold (and never will be individually sold) polishes and four "extras" for a total of $50. You don't get stuck in a service - it's buy as you want. Blogger swatches are available before pre-orders, pre-orders run 2 weeks, and then the boxes are shipped 2 weeks after that. For US orders, tracking is included. They also ship internationally. 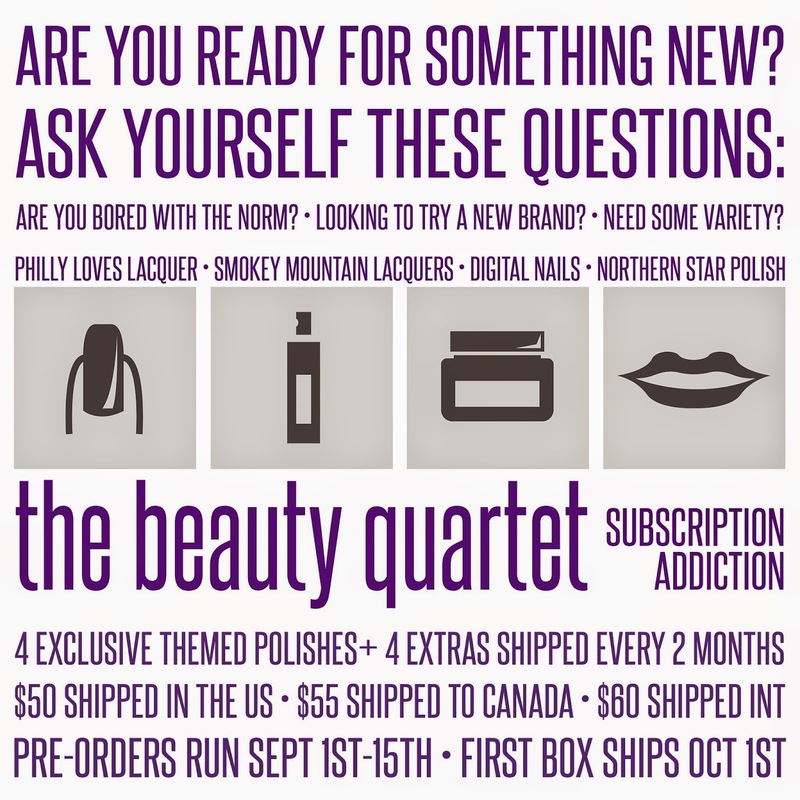 Boxes are available through the Philly Loves Lacquer website.